Reflected in median income; an individual’s effective income; income inequality in the community we serve; job readiness; access to, and representation in high-growth sectors of the economy; and physical access to jobs, including transportation. As a nation, we seem to have made no progress in racial equity – with regard to income, wealth, and higher education – since 1967. 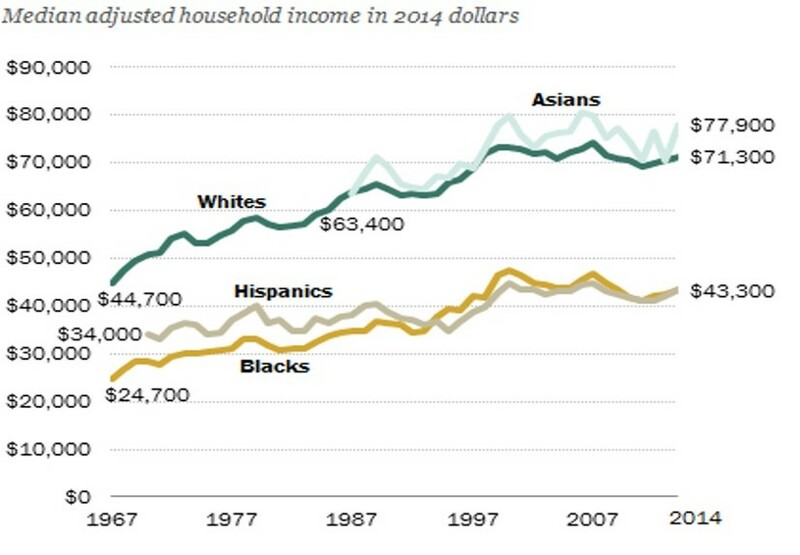 In 2015 — the most recent year for which data are available — black households at the 20th and 40th percentiles of household income earned an average of 55 percent as much as white households at those same percentiles. This is exactly the same figure as in 1967. 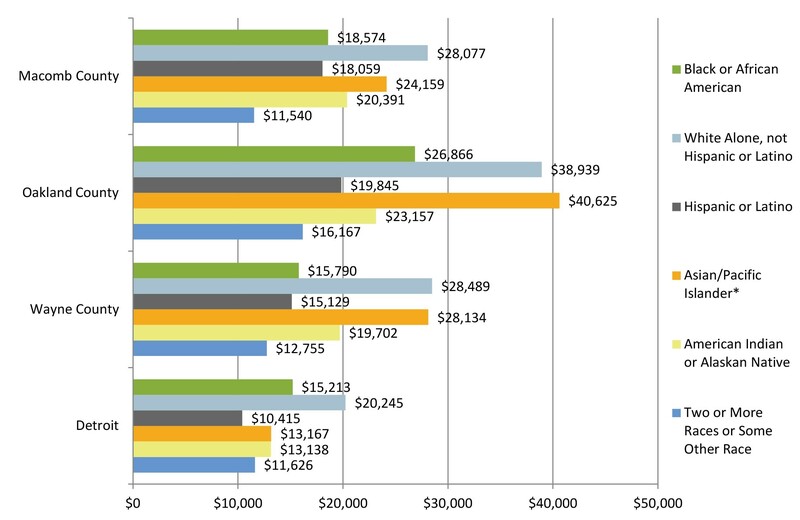 For every $100 in white family wealth, black families hold just $5.04. During that time, wages have decreased between 18% and 39% for all Detroit workers, which is between 28% and 35% worse than the national average. In Detroit, the decline in wages for people of color was more than 50% greater than for whites.